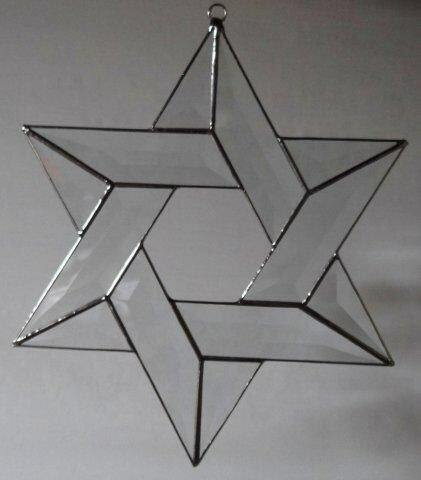 This beautiful bevel Star of David is handcrafted in our stained glass studio formerly located in Bethlehem, Pennsylvania. The star measures approx. 10" x 8" and is crafted from clear bevel glass. Each star is hand polished and inspected for quality prior to leaving our studio. Our stars are available in several local retail stores and come in many other sizes and colors.